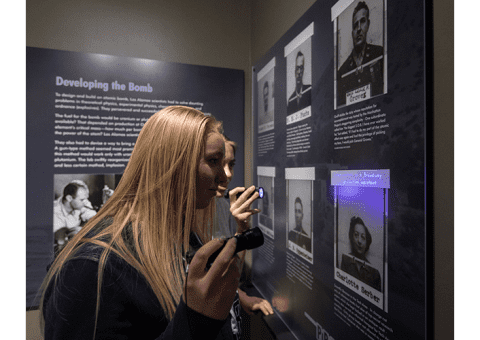 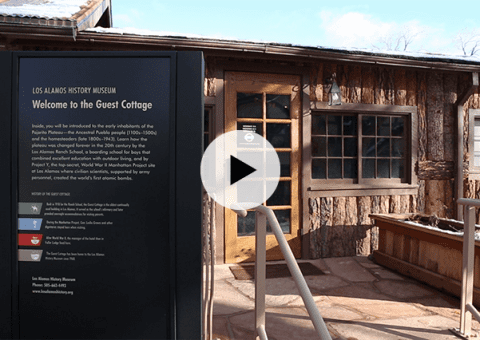 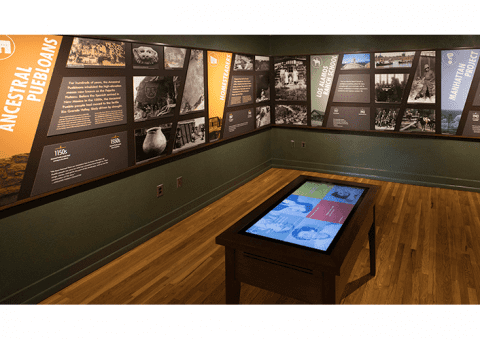 Quatrefoil developed, designed and installed new exhibits that connect visitors to the stories of Los Alamos through images, soundscaping, multimedia and interactive elements. 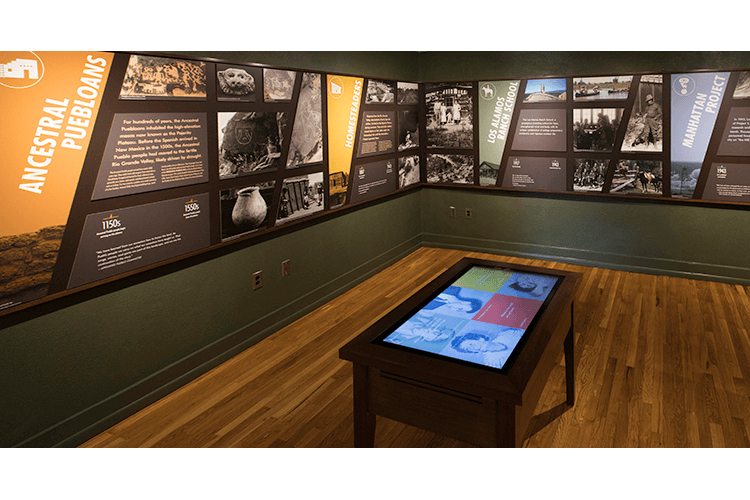 This included a complete re-envisioning of the main museum along with new exhibits and outdoor interpretation. 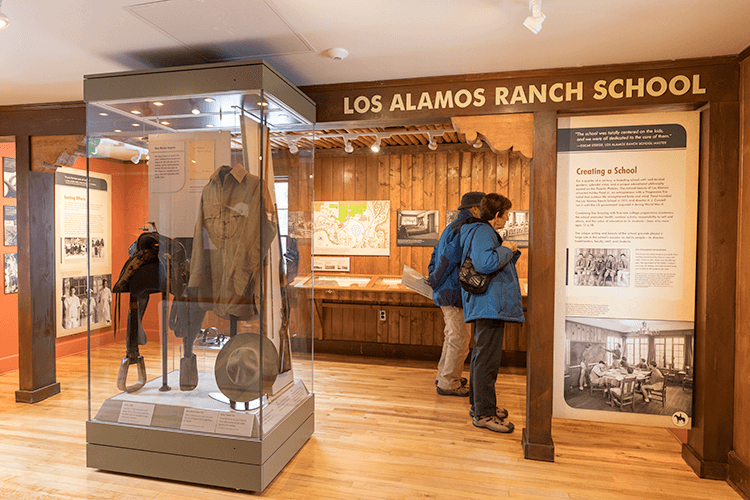 The transformed museum in the Guest Cottage includes an orientation gallery, an exhibit featuring artifacts from the Los Alamos Ranch School — including the eviction letter sent to the school by the U.S. government in order to provide a secure site for the Manhattan Project — and the Manhattan Project galleries. 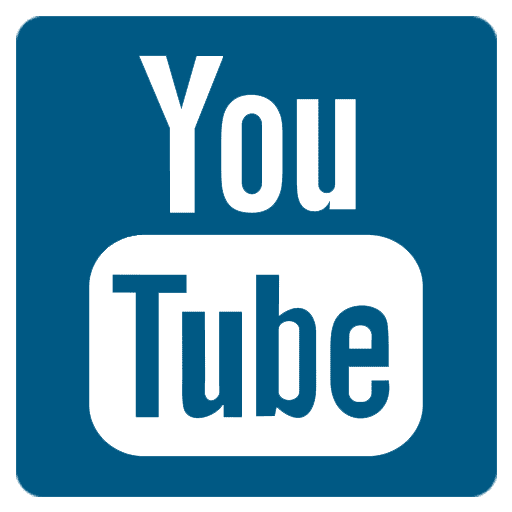 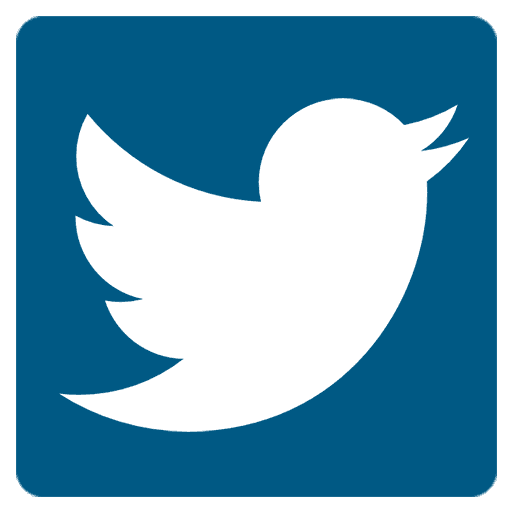 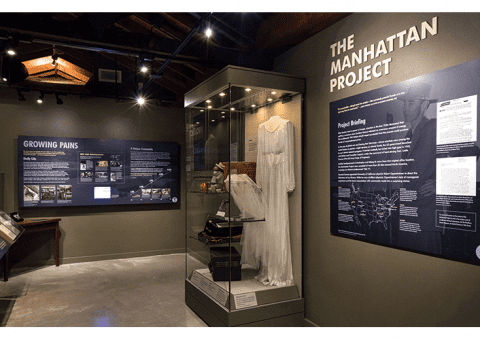 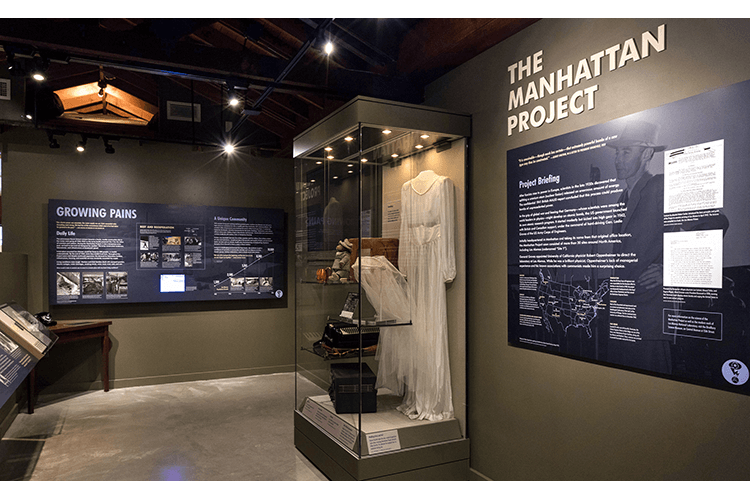 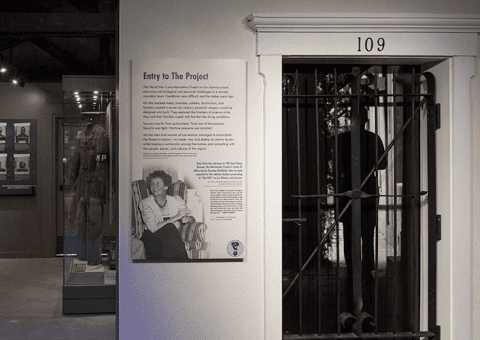 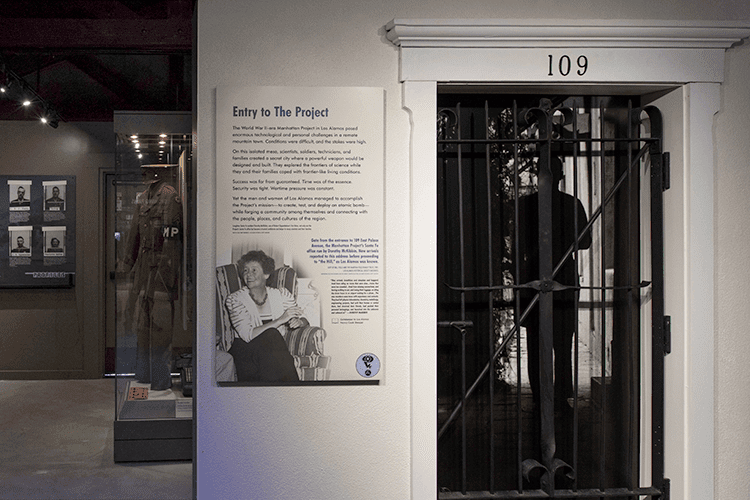 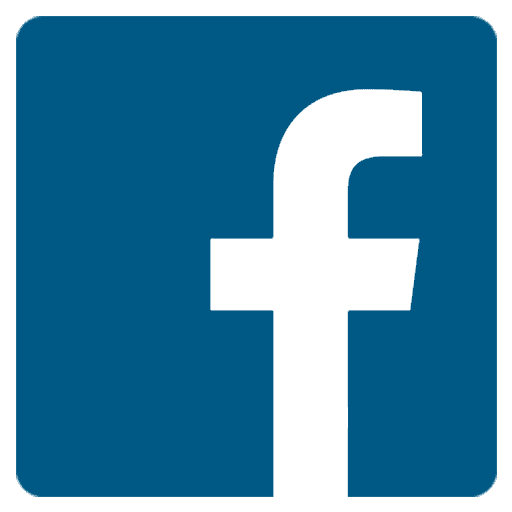 The Manhattan Project section reveals how the scientists and their families lived and worked in the secret community while developing the technologies that would dramatically change not only the course of World War II, but also the history of humankind. 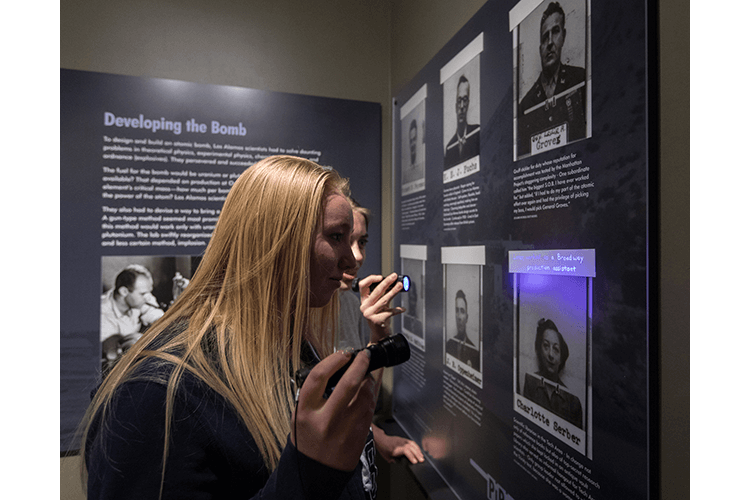 A new Cold War gallery was designed for the nearby house that was once the home of Los Alamos scientist Hans Bethe. Through artifacts that range from Los Alamos High School varsity letters to a Nobel prize, the exhibits tell how Los Alamos continued — and continues — to play an important science and technology role in the nuclear age.